CAPTION: In 1949, this Valli was located in GreeneLand. CAPTION: In the best of film noir, a viewer can actually feel the dampness and breathe in the darkness. I initially felt a fool for not having seen The Third Man earlier. However, in retrospect, having now read most of Graham Greene’s major works, and having received some keen insight into the back-story of producer Alexander Korda through Kati Marton’s book The Great Escape, I feel I was able to enjoy The Third Man even more for the staggering masterpiece that it is. As a European/American co-production bankrolled by two legendary hands-on producers, David O. Selznick and Alexander Korda, The Third Man was masterfully crafted by director Carol Reed from a screenplay by British novelist Graham Greene. The film served as a pinnacle of the film noir movement and is a prime example of master filmmakers working with an iconic writer and utilizing an amazing cast and crew to create a masterwork representing professionals across the field operating at the top of their game. Fans of Greene’s novels need not be disappointed as the screenplay crackles with all that signature cynicism and sharp witted dialogue. Carol Reed’s crooked camera angles, moody use of shadowing and external locations (Vienna, partially bombed out, wet and Gothic, never looked more looming and haunting) and crisp editing are the perfect visual realizations of Greene’s provocative wordplay and often saturnine view of the world. Reed’s brief opening montage and voice-over introducing us to the black market in Vienna is also shockingly modern, as it is that energetic quick-cut editing that has influenced directors like Scorsese to film entire motion pictures in just such a style. Also making the film decidedly timeless is the zither music score of Anton Karas, a bizarre accompaniment to the dark story that serves as a brilliant contradiction to what is being seen on screen. The story of The Third Man slides along like smooth gin down the back of one’s throat as characters, plot and mood meander and brood along cobblestone streets and slither down dark alleys in an intoxicated state. Heavy drinking hack writer Holly Martins (Joseph Cotten, doing an excellent Americanized riff on Graham Greene himself) arrives in post WWII occupied Vienna to meet up with his old pal Harry Lime (Orson Welles) only to find that Lime is reportedly dead, the police (headed by a perfectly cold Trevor Howard) don’t seem to care, and Lime’s charming broken-hearted mistress (Alida Valli, perfect as another Greene archetype) has been left behind. Of course, Martins can’t leave well enough alone as conspiracy, murder, unrequited romance, and political intrigue ensue. Welles benefits greatly from being talked about for most of the film and appearing mostly in shadows spare for two scenes: the famous ferris wheel speech, and a climatic chase beneath the streets of Vienna through Gothic sewers. His top hap, dark suit, and crooked smile are the stuff of film legend. The side characters, however, are what make The Third Man such a rich, rewarding experience. We’re treated to small glimpses into the mindsets of varying people ranging from a British officer obsessed with American Western dime-store novels (of which Martins claims his fame) to an Austrian landlady eternally wrapped in a quilt going on and on in her foreign tongue as international police constantly raid her building and harass her tenants. The brilliance is that one needs no subtitles to understand her frustration. These added layers of character and thoughtful detail, hallmarks of Greene, set The Third Man in a class above the rest of film noir from the late 1940’s era. Make no mistake, The Third Man is arguably one of the most finely crafted films ever made. One’s preference towards noir and Greene’s world-view will shape how much one actually enjoys the film. For the sheer fact it has held up so well over the decades and has clearly influenced so many great films that came after it, its repeated rankings as one of the greatest motion pictures ever made can not be denied. With a good stiff drink in hand, and Graham Greene’s collection dog-eared on my bookshelf, The Third Man is undoubtedly now one of my favorite films. Reed’s closing shot of a tree-lined street along a cemetery and Joseph Cotten leaning against a car smoking a cigarette while Alida Valli walks right past him with that zither music score playing is one that has left an indelible mark on my memory and enriched my love of film as art. This entry was posted in Art-house Cinema, History, Inspiration, Movie Reviews, Movies, Pop Culture and tagged Alexander Korda, Alida Valli, Anton Karas, Carol Reed, David O. Selznick, Film Classics, Film Noir, Film School, Graham Greene, GreeneLand, Joseph Cotten, Kati Marton, Orson Welles, Post WWII Occupation, The Third Man, Trevor Howard, Vienna, Zither. A nice erudite essay on a great film. There is engaging humor and satire also. The “lecture” by Holly Martins is a hoot. Harry Lime’s first appearance–one of, if not the best entrances in film history. Also, don’t forget the “character” of post-war Vienna in this movie. All the people and places are marked by a drabness and genteel poverty of everything; the sense of weariness and struggle is real and pervasive. And oh, gosh, I love Joseph Cotten. This is one of my favorites. …For the sheer fact it has held up so well over the decades and has clearly influenced so many great films that came after it, its repeated rankings as one of the greatest motion pictures ever made can not be denied. End of quote…Oh! 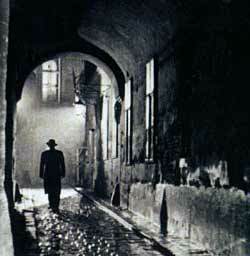 Yes, There is nothing more for me to add…other than to say, what an excellent review of Greene’s The Third Man. Because you have summed up author Graham Greene’s 1949 film The Third Man perfectly.